Here is a great website from the research project in Reggio schools in Italy. 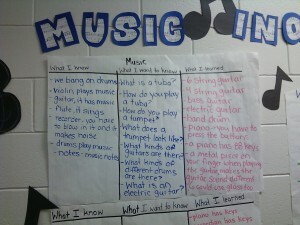 There is some great information and pictures about documentation. Planning with the end task in mind, deciding how you will assess your students, and what they need to know are many questions teachers ask themselves when planning lessons and units of study. Backwards planning is what it is. We work from our overall and specific expectations, think about the ’big idea” or our learning goal(s) for the activities that we have planned out. This thinking will give you a clear idea of where you need to start and it keeps us focused. Now, plan for the final product or the summative task. This could be giving an authentic questions if it is math related, a response to a reading strategy you are working on…etc. When we begin working on a new unit of study we need to collect information to see where students are at so we can plan what we need to teach. Teachers can choose the assessment tools they need to collect, organize, and record information about the student learning during the unit. It is also the informal times that we may see learning. So choosing how that will be captured-camera, recorder etc. may be an alternate form of assessment to keep on hand. Assessment as Learning is the ongoing monitoring of student progress, allowing for feedback, changes/tweaking, and adjustments or whatever is needed to give the students a clear understand of how they can improve. Example: This can be done in small group, with descriptive feedback, conferences, written exchange of dialogue, oral conversations, etc. This may be a time when the teacher needs to provide mini-lessons to fill the gaps in learning to make the students successful. Here is a link to an article on formative assessment http://earlylearningcentral.ca/wp-content/uploads/2009/02/Research-for-Teachers-Number-2-Formative-Assessment-article-nov-2010.pdf. Formative assessment assists students making them successful by giving suggestions for improving learning rather then just judging. Summative Assessment is the final task at the end of the unit where students show their final learning. This can take a variety of forms and should allow for students to show their learning from a variety of tasks. 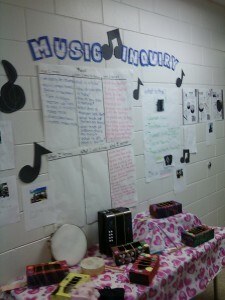 Some students may want to choose to illustrate their learning through a visual-drawing, artwork. Some may need to display in an oral conversation, a play etc. Giving students different assessment strategies based on their learning styles and needs, will engage students and give them other options to display their learning. There is some great information from the assessment section http://earlylearningcentral.ca/wp-content/uploads/2009/02/assessment-that-informs-27-32.pdf in the Thinking it Through resource. Written Observation or Anecdotal records details some critical information about how to collect that information and when it is applicable. Recording the time, date onto the back of work samples provides a context. It also discusses some great points about factors that affect observation records. On p. 6 of the pdf there is a great chart that gives some ideas on “what you need to find out” and the “tools/strategies” you can use to assess. If you do collect work samples; a binder, a folder or scrapbook is a great way to house the information. When assessing students it is always important to collect information over time so that you get their best work and really see their full potential. Keep in mind that accommodations may be beneficial for many of your students and as you meet with each child, you can see their unique qualities and change as needed. On p.5 (p.30-31) of the pdf, there are ideas for instructional, environmental, and assessment accommodations. I encourage you to read the section on Assessment in the Thinking it Through document as it give some great tools and strategies, some “ahas”, and there may be something new that can add a creative twist to assessments! !